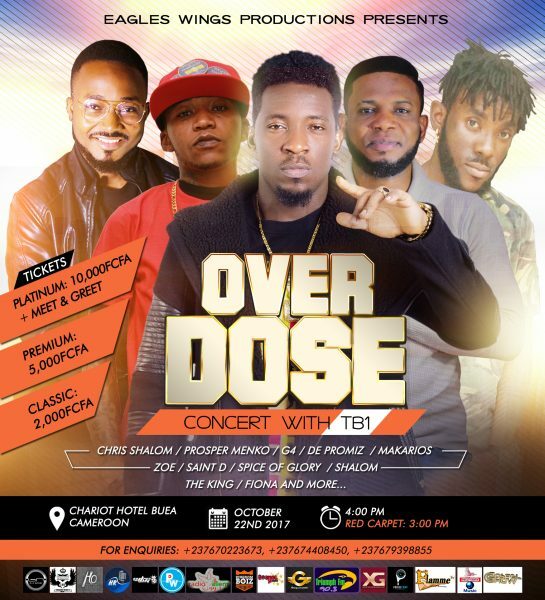 BLW Rap Nation front man TB1 is set to storm Cameroon this October with the “Overdose Concert“. The concert which is named after his last album is billed to take place at the prestigious Chariot Hotel situated in the heart of Buea in Cameroon on October 22, 2017. With guest performances by Chris Shalom, Prosper Menkjo, G4, De Promiz, Makarios, Zoe, as well as Saint D, Spice of Glory, Shalom, The King, Fiona among others, it promises to be an unforgettable experience. Classic tickets go for 2000FCFA, Premium 5000FCFA and Platimum (with Meet and Greet) for 10000FCFA. The OVERDOSED CONCERT WITH TB1 is the first ever live in concert featuring the amazing TB1 signed unto the Big Nations Label. The theme of the event is centered on the bible scripture Ephesians 5:18 which says “And be not drunk in wine, wherein in excess; but be filled (OVERDOSED) with the spirit”. 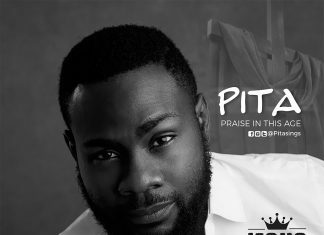 The artist dropped an Album last year titled “THE OVERDOSED ALBUM” which garnered so much airplay home and abroad and various testimonies abound across the globe which inspired the intended “OVERDOSE CONCERT WITH TB1 LIVE IN CAMEROON”. This concert is set to be executed in partnership with EAGLES WING PRODUCTION who is the main sponsor of this prestigious forthcoming event in the city of Buea in Cameroon.